I love to find ways to excite children about creating something. Some of the prompts I’ve come up with have led children to create in paint, in fabric, by cooking, by sculpting, through choreography and photography. I brainstorm a couple of ideas, but then it’s up to kids to brainstorm more, and choose an idea that calls to them! They might start with some kind of picture, then go on to compose a piece of music about it, or invent a character for a play they plan to write. Below today’s ideas, which start with the concept of an egg, you’ll find an embedded List of all my prompts to date. *** Today’s prompt is to start with an egg. List all the eggs you can possibly think of. What egg idea do you like best? *** If you were an egg, what kind of egg would you be? Draw your portrait. *** One day, you’re wandering about near the Museum, when you spy a very large pale green egg. 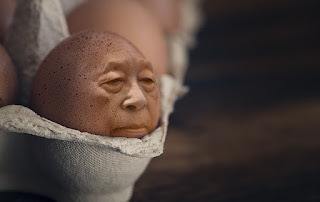 What sort of egg is it? What happens? 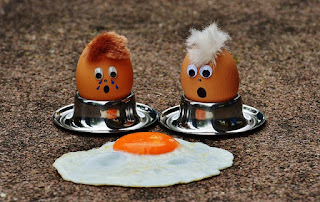 *** What if the King’s Men HAD been able to out Humpty together again? What do you think he would have said? What might have happened next? *** List all the words you know that start with “ex-“. For example: “exciting”. 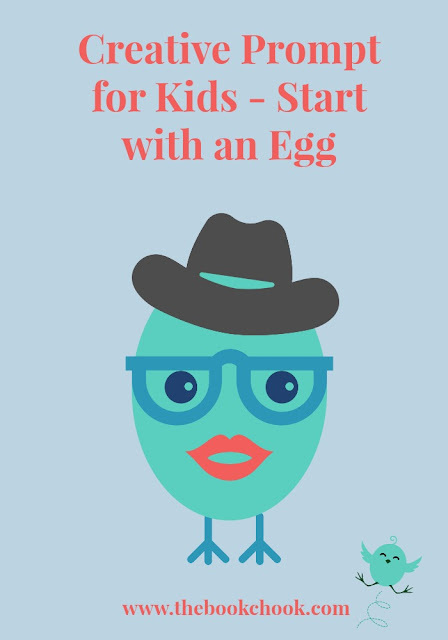 Can you transform those words to make new “egg-“ words? Exciting becomes “eggciting”. Represent some of your words as images, cartoons, models or some other way. 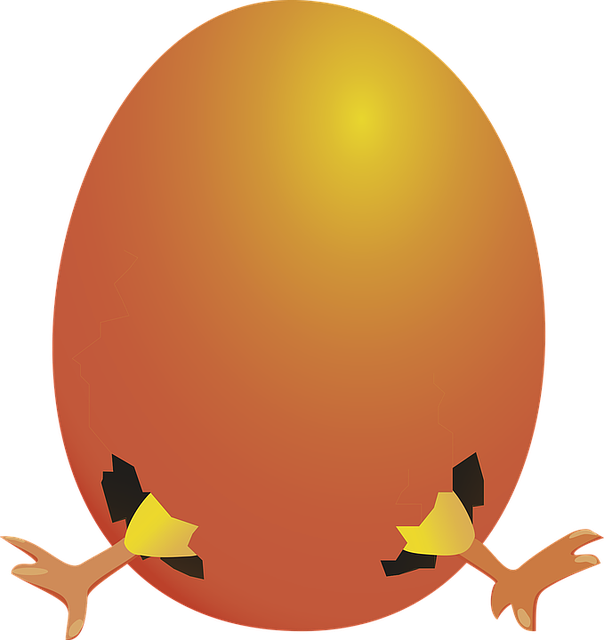 *** Create something suggested to you by this title: The Eggscape. 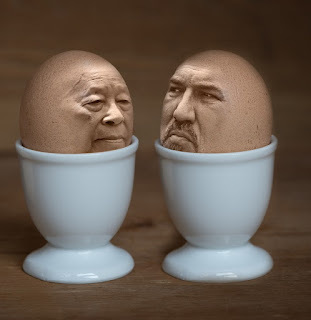 *** Create a dialogue that might take place between the two eggs, above. (Image from Pixabay.) Practise it with a friend, then record yourselves. *** Learn how to blow the yolk and white of an egg out of the shell, carefully rinse and dry it, then paint it with zentangle patterns or some other decorative idea. There are instructions in the video below. *** Blow the white and yolk from another egg, and create something with it. *** Write what the egg above has learnt in a speech that starts like this: "I may be old, but I have learnt a lot about living." *** Find some books about eggs and see what other ideas they suggest for you. Teachers, you might also like to read Visual Story Telling, or Fun and Easy Ways to Make Digital Art with Kids.